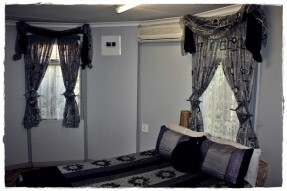 The luxury double rooms are for guests who want more space and privacy. Luxury, comfort and relaxation, you will find in these rooms. 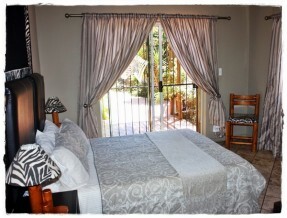 Most of the luxury rooms have a private patio to enjoy a morning coffee or a late afternoon wine. T.V with selected DSTV channels. Private patio - most of the rooms. These rooms are perfect for families travelling. We cater for families of three or four members. Relax in plenty space, luxury and comfort. These rooms are also perfect for groups single travelers who want to share the space. Double bed and a single bed. Double bed and 2 single beds. 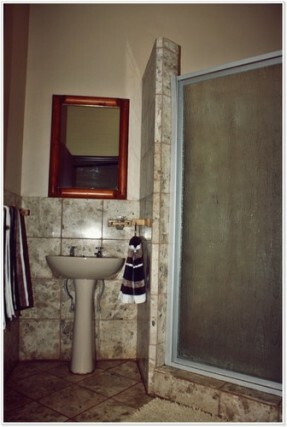 En- suite bathroom with shower. TV with 12 DSTV Channels.